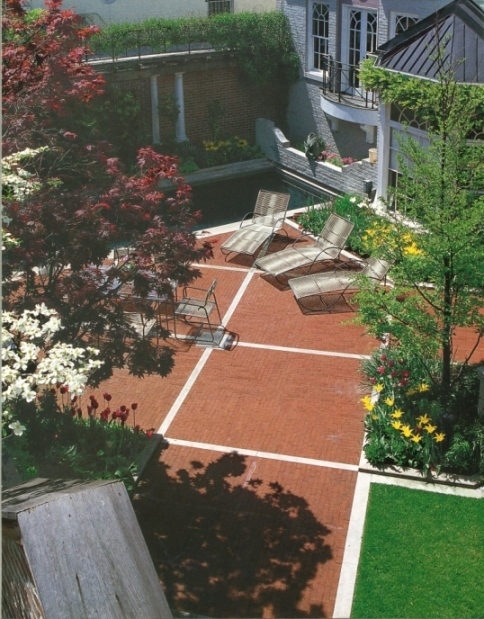 Brick is a versatile paving material that spans a spectrum of color and texture. It can be laid in patterns, set flat, or set on edge to enhance its textural interest. 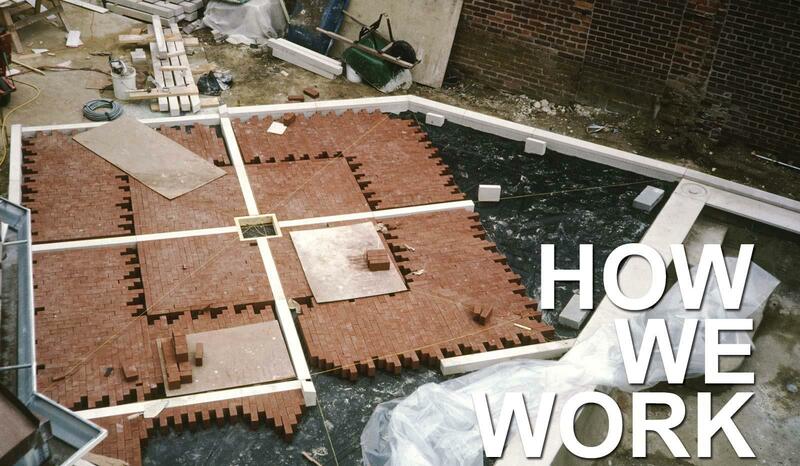 In an informal application, you might lay the bricks without mortar on a bed of sand. For a more finished look, you should first lay down a base of rigid concrete or asphalt, set the bricks on that, and fill the joints with mortar. Placing the bricks on edge exposing just the narrow side of the brick is a way to trick the eye and suggest to more space in a small garden. If you budget allows, you can utilize ‘stringers’ – bands of some contrasting material such as limestone – to interrupt the visual monotony of large areas of pavement.